Xiaomi is a brand that offers a lot of choice among their many devices. Ranging from flagship models to gaming lords and everything in between, a choice of selection is something they offer in abundance. Producing such varying models that are filled to the brim with innovation, Xiaomi is a brand to watch out for. When such range of choices are given, buyers are sure to be in a tough spot to finalise on a decision. Here are the best 5 Xiaomi Phones 2018 in no particular order, each of these being great in their own aspect. Art and technology are something that is said to meet quite often, but the Mi Mix 3 proves it with its innovative display. They’ve managed to stand apart from the notch brought about by Apple and the pop-up cameras that Vivo and Oppo brought into the game. Adorned with a manual slider that can be used to bring about the dual front cameras and the selfie flash. The manual slider allows for a bigger screen to body ratio. This artistic and innovative approach doesn’t bring about problems that are usually expected in a slider. 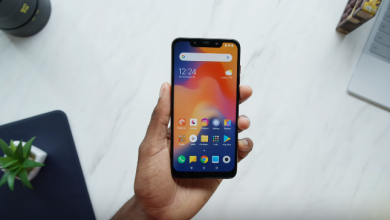 Released to knock down the so called flagship models, the Pocophone F1 is a phone that is affordable. While some of the features of the Pocophone F1 may not be as amazing as the top end phones available in the market today, it is really well crafted for the price. The way the Pocophone F1 is designed, it meets expectations in some areas, while exceeding others by huge amounts. With the price that the Pocophone F1 is sold in the market, no complaints would be given for the features that it provides. Sporting a lovely user experience with great specifications and camera performance, the Mi A2 can easily be called the king of budget smartphones. Even though the Mi A2 is the first phone to skip the headphone jack in the medium price range of the smartphone market, it does provide good audio quality. In terms of design, the Xiaomi Mi A2 provides an excellent user experience. The device uses an aluminum back coated with fingerprint-resistant material. Under the hood the Xiaomi Mi A2 uses Snapdragon 660 chip-set. It also has eight Kryo 260 CPU cores and an Adreno 512 GPU. Further it is powered by 4GB RAM and 64GB Internal memory, what more can you ask! With the combination of stock android and powerful chipset the user experience on Xiaomi Mi A2 is fluid. Aimed to impress the gaming community, Xiaomi has the Black Shark equipped with features that hit home. With a water cooling system and an optional gamepad, the Black Shark has all the requirements to be a fierce competitor in the gaming smartphone market. Adorned with good cameras as well, Xiaomi feels that gamers are also amateur photographers. A concern for European users is the lack of preinstalled Google apps that makes only Chinese apps available as soon as the phone is brought. Other apps can be installed only once the Google Play Store is set up or users have to resort to obtaining APKs. 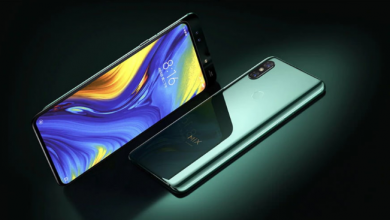 Skipping the Mi 7 to bring out Mi 8 for its eight-year anniversary, Xiaomi copied the naming anniversary scheme from Apple. 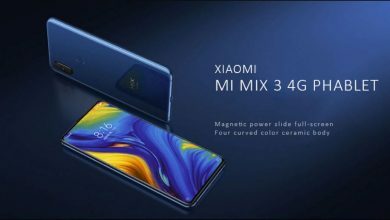 The Mi 8 redefines all previous flagship models of their own while giving a tough fight to flagship devices from other companies at the same time. While some top end features that have been on all the flagship phones like waterproofing and wireless, it still packs the power to stand apart and have a place of its own in the smartphone market. The AMOLED on the display of the Mi 8 also sets it apart from previous Mi phones.